Among others things with the intention to cross the Channel by plane, de Lambert wants to increase the number of his flights in La Napoule. In May he is also active there. 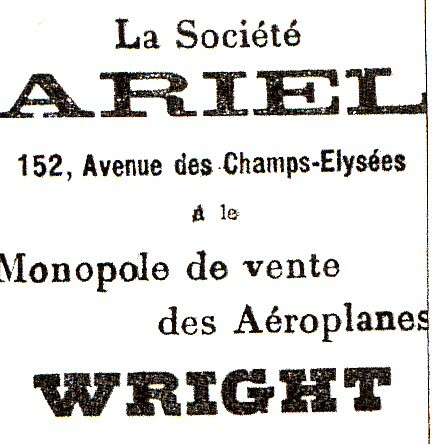 From March 27 up to and including April 3 1910 in La Napoule a Meeting d’Aviation takes place. Wilbur Wright spreads his wings further in Europe. From April 1 1909 staying in the Eternal City with sister Katharine and brother Orville (Charles de Lambert also wrote on it in preceding letter of April 29 1909). He flies of demonstrations from 15th up to and including Aril 27 1909 on the plain of Centocelle outside Rome for account of a combination headed by tyre producer Pirelli and in which the government also participates. He trains navy lieutenant Mario Calderara (1879-1944), who started correspondence with the Wrights in 1905 and the first Italian pilot, and army lieutenant Umberto Savoja to be pilots. An unique occasion happens on April 24 1909 when Wilbur, as first one in the world, makes a flight with a man with a movie camera. End of April 1909 Wilbur Wright leaves and Calderara continues his training with daily flights. 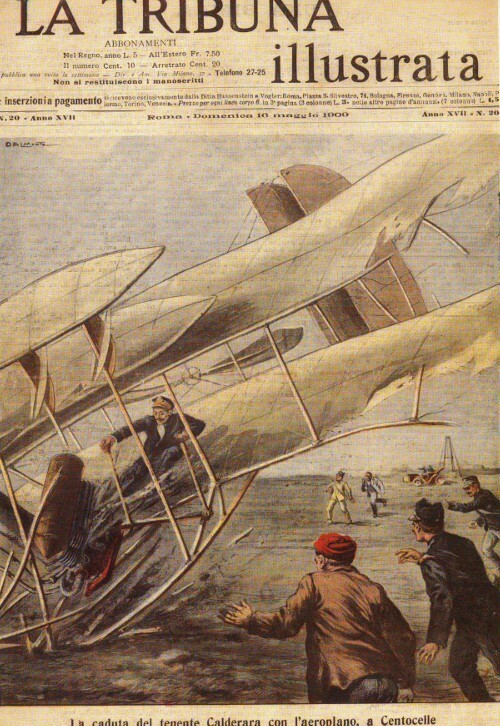 On May 6 1909 he crashes and is seriously injured. With all events happening in the air we must also remember that in 1909 in January the first Frisian eleven-towns skating race takes place while in the same month the expedition of Ernest Shackleton reaches the magnetic south pole.It is rumoured that the north pole is reached by American Robert Peary on April 6 1909. All developments in the field of aviation have the full attention of Mr Sybrand Casparus Jan Heerma van Voss, a wealthy sugar tycoon in Leur, The Netherlands. On the occasion of the 40th anniversary of his sugar-factory he decides not to organize a cycle race, as was usually done in those days, but to offer his employees and the village of Etten en Leur ‘something special’: the spectacle of a motorized aeroplane in full flight, a demonstration to be watched for the first time in The Netherlands. 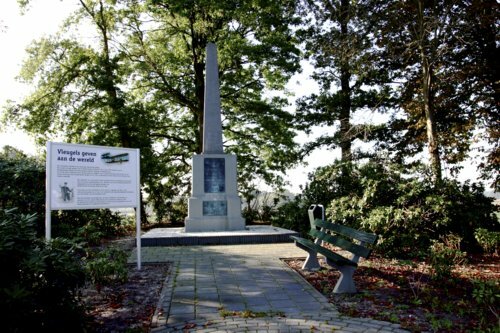 After very tiring negotiations with impresarios it is finally aviation-pioneer Charles count de Lambert who comes to Etten en Leur. Sunday June 27 1909 is the big day. 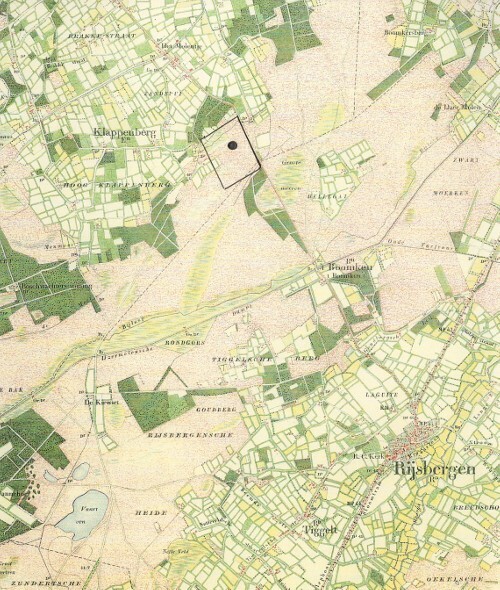 From far and near tens of thousands of people come on bicycles, carts, extra carriages, on foot etcetera etcetera to Klappenbergse Heide (Klappenberg Moor). The enormous crowd is unlucky because it rains cats and dogs all day. The public which begins to loose patience on the wet moor, feels tricked! Many hours later, when the greater number of spectators has gone home disappointed, Charles de Lambert judges the weather and especially the direction of the wind good enough to risk an effort. At 20:25 his ‘Wright Flyer’ rises above Dutch territory and covers more than one kilometre in a flight lasting about 3,5 minutes. 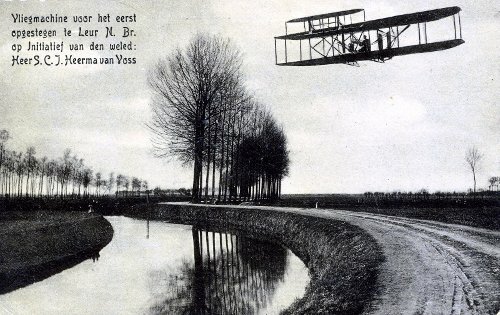 It is a real historical date for The Netherlands: the foundation of Dutch aviation has been laid. Picture postcard without postage stamp stamped LEUR (N.B.) 5.5.16.